Viviane Kostin ’19 plans to spend a year studying one Maine parish to gain insight into modern Catholicism. 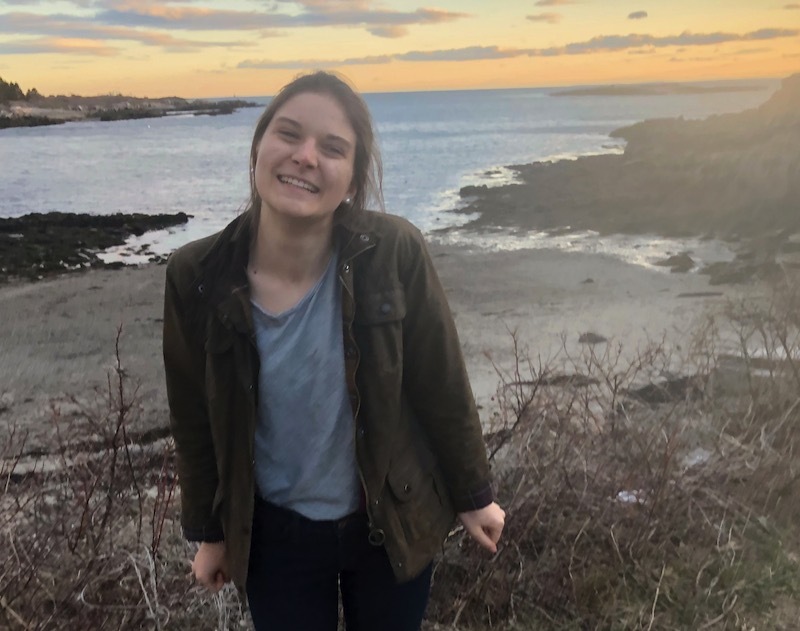 Viviane has a Bowdoin fellowship this summer to start her yearlong honor’s project looking into Catholic parishioners’ attitudes toward Communion. More precisely, she will be looking at the parish’s relationship to just one ritual — albeit one that is a cornerstone of Catholicism: the Eucharist, when Catholics take the bread and drink the wine that represent Christ’s body and blood. She sees the Eucharist ritual as a unique way to examine the relationship and tensions between church doctrines and the personal understandings that individual Catholics give to their faith. 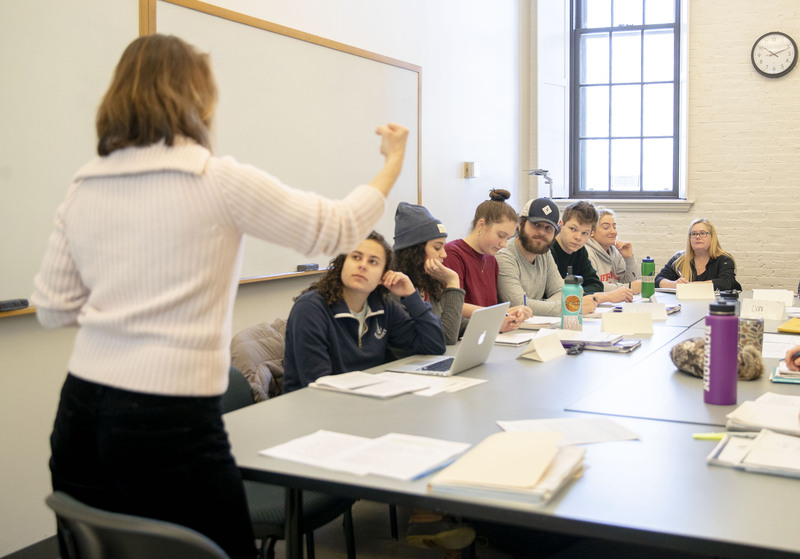 This summer, the religion major and education minor has a Surdna Foundation Undergraduate Research Fellowship from Bowdoin to do research and lay out a framework for her upcoming honors project in the religion department, which she is calling “A Community Celebrating Communion,” another term for the Eucharist ritual. She is one of nearly 300 students this summer who received funding from Bowdoin to pursue research or internships. Yet, she added, “at the same time, you have millions of Catholics around the world living out their personal faiths.” One way this can most obviously lead to tension, she said, is around issues of “social justice,” such as abortion, contraception, and gay marriage. Instead, for her Bowdoin project she is taking an original, and mystical, approach to study the relationship between personal views and Church dogma. It made sense to her to use the Eucharist ritual, which takes place daily in Catholic churches around the world, as a lens through which to pursue her question. Part of her research will consist of interviews. Starting in the fall, Kostin says she’s looking forward to speaking with twenty to forty volunteer parishioners about their personal views on the Eucharist and the concepts underlying this sacrament, such as transubstantiation or real presence, sacrifice, and ritual. This summer, as she has laid the foundational work for her research, Kostin said she has also looked deeply into her own faith, finding there an empathy with others confronting the complexities and mysteries of Catholicism and religious belief. “It is deepening my personal faith but also deepening my respect for people’s confusion,” she said. ”I’m really interested in and passionate about interfaith dialogue,” Viviane Kostin said. Being a Catholic at Bowdoin, where she often is a minority in her religion classes, has encouraged Kostin to think about how people of different faiths, or of no faith, can best understand one another. “Religious people have a lot to learn from people who are skeptical of religion; there are valid reasons for this,” she said. While she has a lot of different ideas about possible careers, one of the ones she talks about that reflects her interest in interfaith dialogue is teaching for a public school, where she would like to offer a world religions course. “I so hope that, by teaching world religions in our public schools, we could foster a genuine acceptance and appreciation of all faith backgrounds and perspectives, and enable our upcoming generations of leaders to converse more effectively and compromise more peacefully,”she said. Lisa Bouffard is finishing up her last semester as a Bowdoin student. 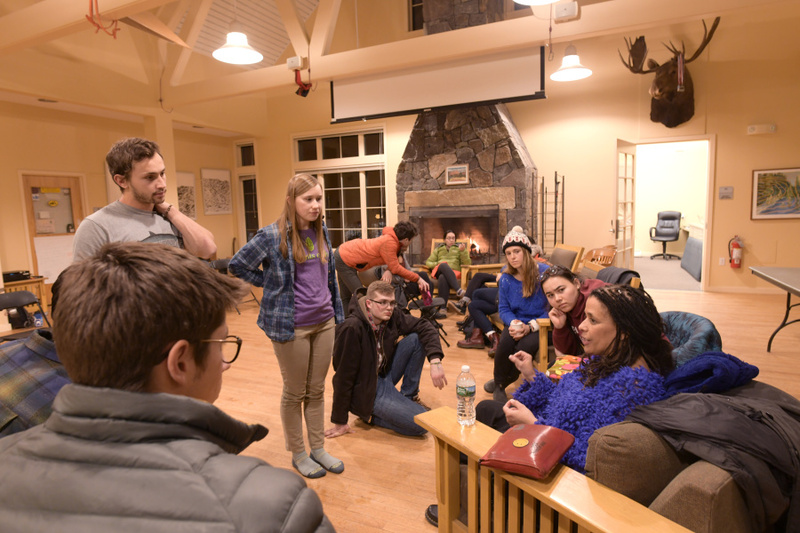 Writer and cultural geographer Carolyn Finney visited Bowdoin to discuss why people of color have historically been overlooked by the outdoors industry and the environmental movement—and how to change this. 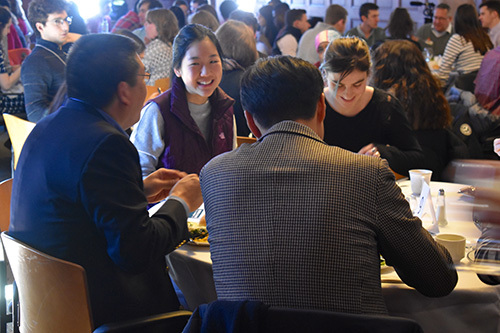 This year's theme for the annual Nonprofit Symposium was "creating change together." 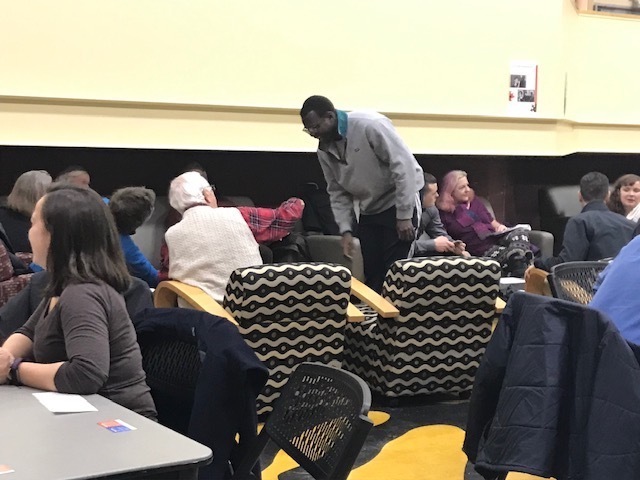 For the latest What Matters and Make Shift Coffee House Conversation, students, staff, faculty, and community members gathered to hold a civil conversation about President Trump.